NotaryAct, a New York-based provider of a cloud notary journal solution, raised a Series A funding of undisclosed amount. Barry Rubenstein, the Managing Partner of Wheatley Partners, a $300m venture capital fund specializing in emerging technologies, made the investment. The company intends to use the funds to increase the availability of its solution to notaries nationwide and further advance its technology. 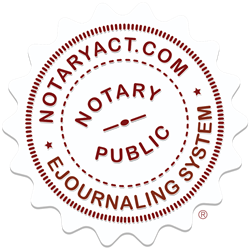 Founded in 2012 by Lee Bialostok, Esq, Chief Executive Officer, NotaryAct provides an electronic notary journal that utilizes smartphone and web-based technologies to ensure compliance with emerging federal, state and financial industry requirements. Apple and Android compatible versions are now available in the App Store and Google Play respectively along with live Notary and Enterprise Portals on the web.